The champagne bottles are ready to pop! Digizuite is ready to introduce Digizuite™ Media Manager version 5. Meet the fifth generation of sublime Digital Asset Management software for enterprises. Expect an entirely revamped UI/UX, new features and a rebuilt technology framework behind the scenes. 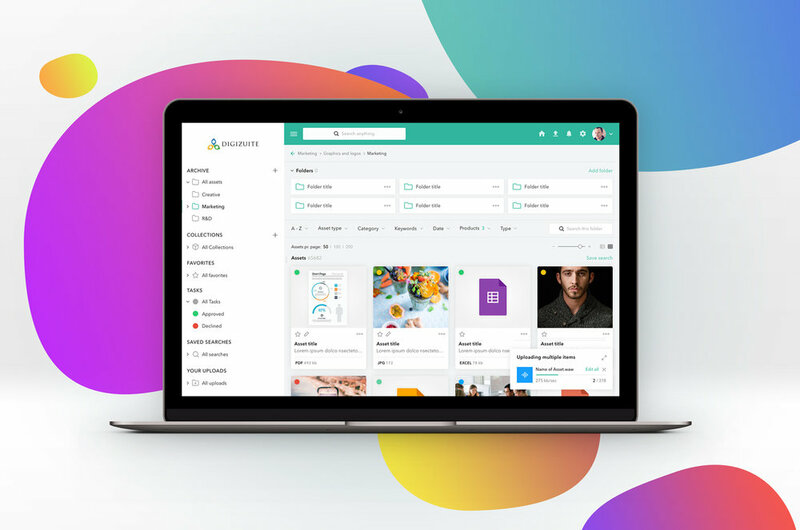 Some of our clients have already had their hands on the new frontend and after a successful beta program where we received valuable feedback, we are ready to present it to the market. Digizuite develops innovative digital asset management software, Digizuite™ DAM, for easy search, management, sharing and repurposing of digital files. Everyone can always find and use the right file on the right channel, anytime and from any device. Enterprises use our software as self-service brand portals, video portals and content hubs for high-quality brand experiences, while simplifying digital collaboration. We make it easy to collaborate across departments, countries and digital channels. Users can simply upload, edit, search, manage, distribute and repurpose rich media content, such as images, videos or documents, across internal and external channels from one centralized source through automated and intelligent workflows. Digizuite is Microsoft Technology Partner, Episerver Add-on Partner, and Sitecore Gold Technology partner, being the first to develop a DAM for Sitecore module, seamlessly integrated with Sitecore. Digizuite is trusted by 500.000 users across North America, Europe and Australia for easy digital collaboration, digital asset governance, and brand compliance. Over 100 enterprises and organizations trust Digizuite to manage their rich media content and digital transformations.